Stephen Curry and his Chance in this Year KIA MVP Race? NBA – Golden State Warriors point guard Stephen Curry has already won two Regular Season NBA Most Valuable Player, he won in 2015 and in 2016 he became the first NBA MVP in history to receive a unanimous vote to claim back to back MVP. Without a doubt Curry has been the best player of the league for the past two NBA Season leading his team in the 2015 NBA Championship against the Cleveland Cavaliers and in 2016 the team posted the best record in NBA History of 73 wins and 9 losses surpassing the previous record of Michael Jordan and the Bulls with 72 wins and 10 losses in a Regular Season. Little by little Curry slowly stealing the limelight to LeBron James who has been the face of the NBA, with such a beautiful handle with the ball and shooting accuracy in the 3 point area. Curry was about to become the next NBA Greatest player? Especially if he only won the 2016 NBA Championship against the Cavaliers where the blow a 3-1 lead in the NBA Finals Series. With their loss in the Finals against the CAVS, the Warriors made a bold move of releasing some key players and adding the second best player in the world Kevin Durant. With Durant’s entry with the Warriors Curry setback as he became the second best player of the team after KD, he was nowhere to be found in this year NBA MVP Race not until KD suffered a knee Injury who has been in the top 5 in MVP Race this season. For now Curry is at #7 in MVP Race and more likely to end his winning streak as new MVP will be name from the start of the post season. Top 3 candidates for this year MVP are Russell Westbrook of OKC, making history in his almost triple double performance every game, James Harden, who is the top contender for the title and LeBron James of the Cleveland Cavaliers who’s every season is a contender for the title? Who is going to be the next NBA MVP? 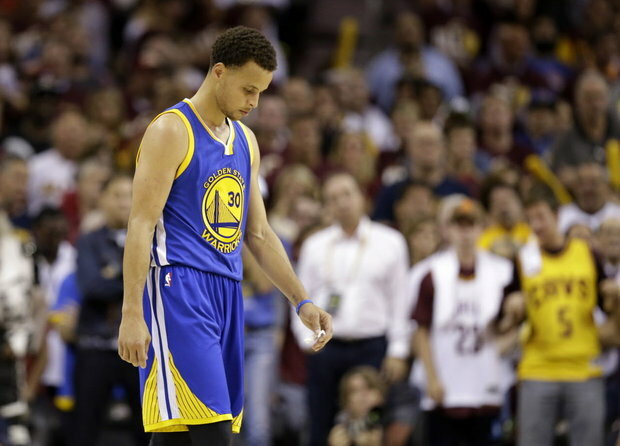 No Comment to " Stephen Curry and his Chance in this Year KIA MVP Race? "